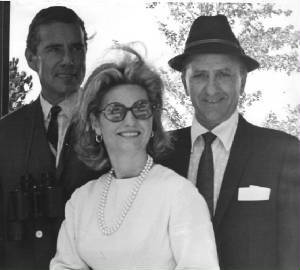 Photos from Seven Decades in "The Sport of Kings"
"Marin was one of the best agents to ever ply the trade"
"One of this nation's most accomplished jockey's agents." "Marin is one of the most popular agents in the business"
"The most successful jockey's agent there ever was"
Camilo Marin, over his 53-year career, represented more Hall of Fame riders than any other agent, a total of TEN in all. They are Braulio Baeza, Laffit Pincay, Jr., Manuel Ycaza, Don Brumfield, Bobby Ussery, John Sellers, Jorge Velasquez, Ismael Valenzuela, Steve Cauthen and Angel Cordero, Jr. He also represented riding stars like Walter Guerra, Alvaro Pineda, Heliodoro Gustines and Octavio Vergara, and won virtually every major North American stakes event, including two Kentucky Derbies, two Belmonts, and the Preakness. HAWTHORNE, Cicero, Ill., Sept. 14- As the seasons roll relentlessly along, one tends to place as much respect and emphasis on the jock's agents as they do the rider himself. Check the records and invariably you will find an outstanding "right arm" or agent at the side of an outstanding reinsman. Which is where Camilo Marin, a fiftiesh ball o' fire from Havana, Cuba, comes in with a flourish. Camilo's latest product is Laffit Pincay, Jr., another of the accomplished Panamanians who currently rules the roost as the outstanding money winning rider of the year. "Ordinarily, you'd expect a rider in such a high position to be astride the best horses," notes Marin, who is the spittin' image of friend Jimmy Durante. Take Baeza, as an example. He is under contract to John (Darby Dan Farm) Galbreath, but has a call to ride Dr. Fager in his races, plus sort of a first call with Eddie Neloy with all of his fine horses, plus an agreement to ride Damascus with Frank Whitely in all of these big stakes coming up. This is probably the best arrangement ever known by a jockey in the history of racing. "Still Pincay is up there on top-and he's getting better every day. He has the youth (21 years old), ability and proper attitude and eventually he'll be known as one of the all-time greats. I think he is about as good as Baeza at the moment and he hasn't reached his peak," said Marin. All of which reminds that this appraisal coincides with an opinion ventured several days ago by Bill Shoemaker, who was on hand for the Arlington-Washington Futurity. "There's no better rider, anywhere, than this boy Pincay," Shoemaker observed without reservation. On the subject of Baeza, Marin is an expert. He enjoyed working with the taciturn South American for four years before he took over Pincay's book. "I took Baeza when he first came to this country from Panama," Camilo recalls. "Mr. Fred Hooper had him under contract and Chuck Parke was the trainer. Chuck called me one morning and said he had a rider who looked like he could be outstanding and asked me to take him over. "I have been with Mr. Hooper for about eight years. Matter of fact, it was when Baeza and Mr. Hooper came to a misunderstanding that I broke with Baeza. I'd rather not go into details. "In any event, Mr. Hooper later brought Pincay to this country and once again, I became the jock's agent. The boy needed me, or at least someone who could not only speak Spanish, but English. I had to go to the paddock every race and serve as his interpreter. He couldn't understand a word of English. Did the same for Baeza. "But Pincay now speaks and understands English well. He is unusual in that he is a Panamanian who finished high school and is very sharp and alert. He picks things up very quickly. It all reflects in his riding. A year ago English baffled him. Now he can handle himself well in any company." Camilo aspired to become a jockey during his teens in the Pearl of the Antilles. "But there wasn't much room for young riders," he says. "They had very little racing and too many jockeys. So I remained a groom, hot walker and exercise boy. They paid me about $60 a month with room and board, when I was lucky enough to have a job. Times were tough in Cuba then, as they are now. "Eventually I gave up the idea of riding and became a jock's agent. My first major move was to go to Mexico City with Fernando Fernandez, who was another fine rider. He wasn't the leading rider of the North American continent, but I don't remember hardly a meeting where he didn't top the list. "We led 'em in New England, in Jersey and in Florida and wherever we went. Being on top was automatic. Eventually, Fernando returned to Cuba and hung up his tack. He served as a steward for a long time there, but now I understand the track is now closed. "Then I handled a few others before either Baeza or Pincay. Had Donnie Brumfield when he was as hot as a firecracker as a bug boy in Florida, and I had R.J. "Bobby" Martin when he led 'em at Tropical Park. I also had Mannie Ycaza for quite a spell, and Heliodoro Gustines, Fernando Alvarez, Milo Valenzuela and one or two others. "They all did well for me. Won a lot of stakes. When I lost Baeza, I sent to the West Coast and brought Fernando Alvarez East and won about 20 stakes and was the regular rider for Roman Brother, who was Horse of The Year in 1965. "So you see, I haven't had a long list of jockeys, but the few that I have worked with have been very successful." "What makes a successful jock's agent?" we asked. "Well that's a tough question," Camilo hedged. "But the fact remains you find find topnotch agents with topnotch jockeys. If you really want to know how I feel, the agent is the right arm of the jockey. Without an agent who knows his way around, the greatest jockeys can forget about doing well. It is that simple. "I have heard some describe an agent as a combination racing secretary, trainer, owner and what have you. He must understand something about important function on the racetrack and most important of all he must know the horses on the grounds and how they will fit into the condition book, If I had to pick the most important function off all, it is reading the condition book. "You'd be surprised to know how many trainers depend on jockey agents to select suitable places for their horses."